Last week, we dropped my boss to the Good Governance Summit in the Philippine International Convention Center in Pasay City. From there we moved to Makati. I had no idea about my companion's statement. He kept on saying kansi. I also kept on asking what is that? Finally, we reached the place. Our purpose - eat breakfast and lunch at the same time - brunch. Good timing because we were then hungry already. I use to eat Ilonggo foods. This is because I had two Ilonggo bosses. I also have some Ilonggo office mates. 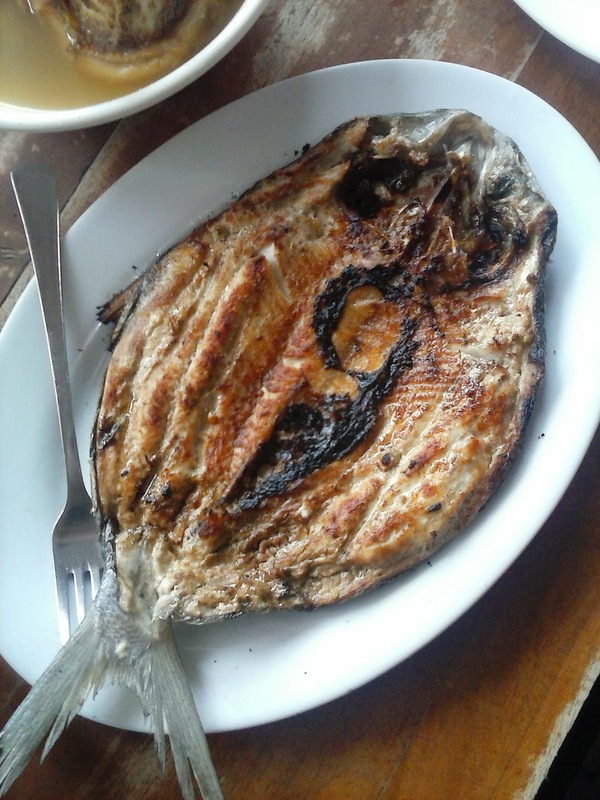 This paved way to my Ilonggo diet from time to time. 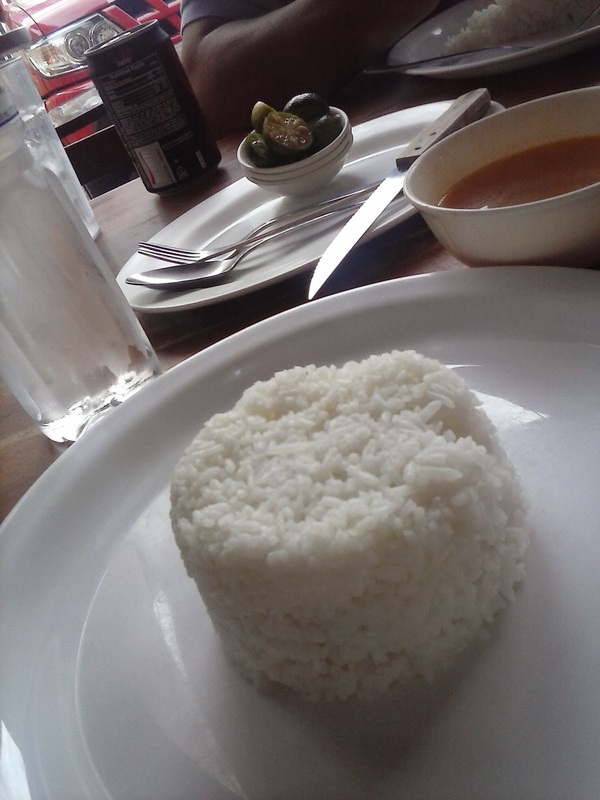 For myself, I was born to coconut milk and sili country. I grew up eating vegetables in coconut milk, fish in coconut milk, chicken in coconut milk - and of course, we sprinkle those foods with hot spice. 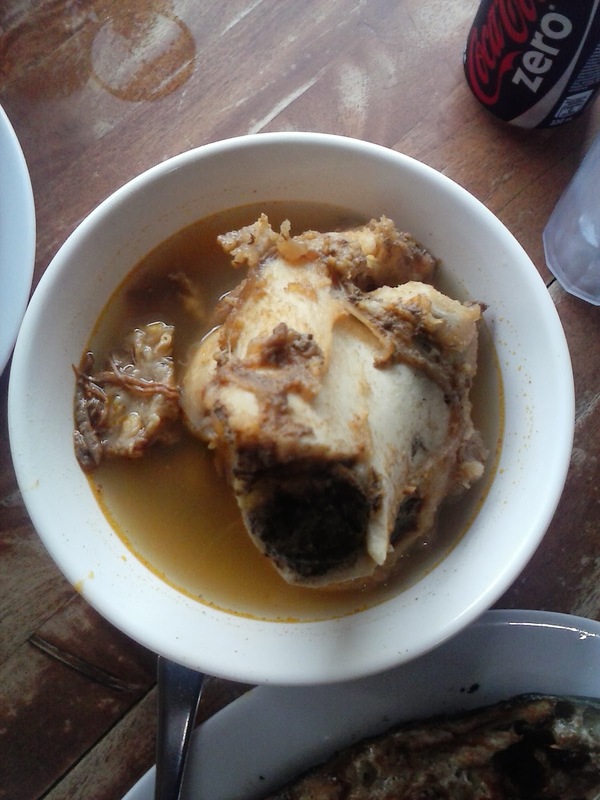 This new food encounter of mine is called kansi, the so-called Ilonggo preferred bulalo. I am familiar with eating bulalo but this new noun is unique. Although, I am not good at describing food tastes one from another, kansi soup is so nice that I can't even smell beef in it. We paired the kansi bulalo with rice, pork barbecue and boneless bangus. Taste, of course, will not be enough without kalamansi and sili. Perfect brunch. We ended up so full for our breakfast and lunch. We took out kansi soup and lumpiang ubod. 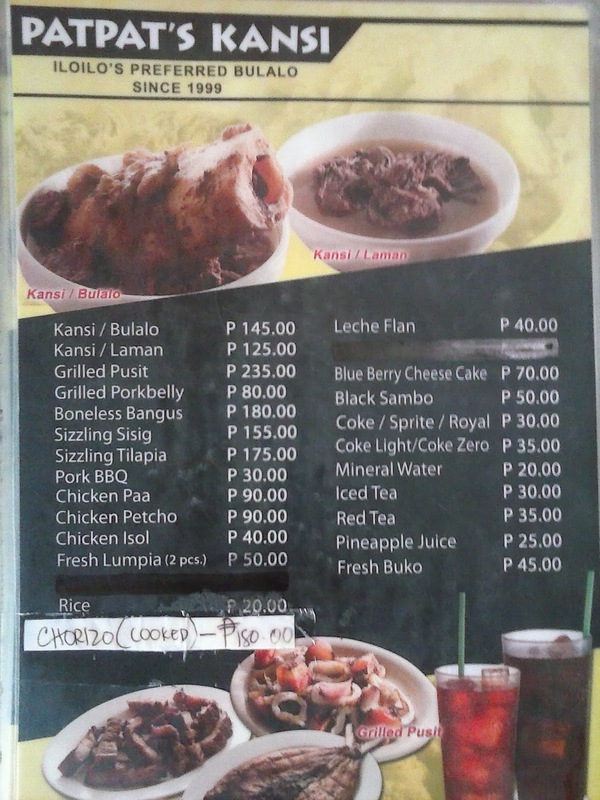 Kansi bulalo per serving is just 145 pesos (about 3 dollars). By the way, in my short stop in the restaurant, I did not get the entire details, What I can only share is that it is located along Sampaloc Street, Barangay San Antonio, Makati City. The restaurant's ambiance is homey. 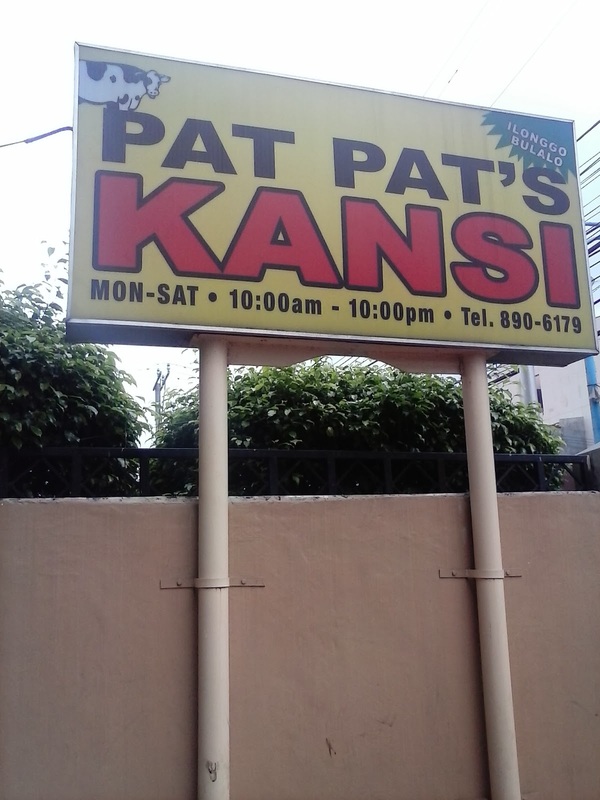 I learned that its owner is Ilonggo and the restaurant is somewhat an extension of a house.